A couple brief videos from CommonCraft. Second Life and other virtual worlds or MMORPGs (Massively Multiplayer Online Role Playing Games) have been getting a lot of interest from academics. If you're considering using Second Life or want to learn more, here's a great slideshow - An Educational Tour Of Second Life - from Slideshare. You may be among the many who don't get Facebook, Twitter or other social networking sites, but big media is starting to get it. Sony/BMG - Bob Dylan's record company - has had Techlightenment create a really neat Facebook application that lets you mash-up a classic Dylan video with your own content. It's really a brilliant use of Facebook and its network of users. Any video created ends with a reference to Dylan's new greatest hits album - due out October 1st. And by following Dylan's (really Sony/BMG's) profile, you are allowing them to follow you, so they (Sony/BMG) can reach out to any potential record buyers. Here's a little video mash-up I created! I have to admit, before I read Karl Kapp's Gadgets, Games and Gizmos for Learning: Tools and Techniques for Transferring Know-How from Boomers to Gamers I was on the fence when it came to gaming in the classroom. At 41, I'm at an age where I'm sort caught in the middle. I'm not an old school academic - "This is the way I learned, and this is how these kids will learn!" - but I see the value of how I was taught and have a tough time letting go of that paradigm. At the same time, I teach technology, I teach with technology, I love new technology and I'm always looking for ways to get my students engaged. It's a real delicate balance, but to some degree it goes back to the idea of control and a willingness to give up some control in the classroom. Reading Karl's book and at the same time considering my own 13-year old daughter really crystallized it for me. Watching my daughter, play games on her PlayStation 2 (she has a Wii now) I was amazed at her persistence and determination. For example, in a snowboarding game, she would start down the mountain, fall, get up, fall again - only to reset the game and start all over. The cycle continued, until she mastered the game and "unlocked" even more difficult courses - and with the same focus took on those challenges. Big deal you say, but compare that experience to that of sitting down with her to help her with a page or two of math homework. After a couple problems, she's bored, doesn't get it and just wants to get it over with - in spite of the fact that she's a good math student and has a real aptitude for math. That along with my own classroom was the epiphany for me! There has to be some way we can capture that same excitement and engagement in the classroom. of simple games that can be used to teach declarative (facts, jargon and acronyms) and conceptual knowledge. Also, Karl's not advocating that we do away with traditional classroom instruction, but instead that we realize that these kids are wired differently and that we need to start integrating new techniques and tools into the classroom - to better engage them. There are some really great examples of simple and inexpensive (often free) activities that can bring gaming into the classroom and better engage your students. One that's been around forever, but remains effective is the Jeopardy by Powerpoint. 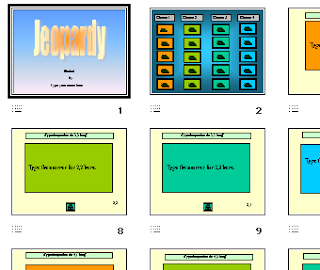 If you click on the image to the left, you can download a PPT document that you can use as a template to build your own - discipline specific - Jeopardy games. Edit the file to create your own categories, answers and questions - it's really simple. Another great tool is Hot Potatoes - a free (under certain conditions) download for Windows, Mac and even Linux. With Hot Potatoes you can create interactive multiple-choice, short-answer, jumbled-sentence, crossword, matching/ordering and gap-fill exercises. There are plenty of others, but this is a snapshot of the type of tools available. FlowPlay is a virtual world community - in beta - where users play browser-based casual games as their own created anime-like avatar. Story Blender - an online collaborative video production site - from the founder of Cyworld - where users "blend" together media to create rich, interactive stories. Katura, a collaborative video site where friends can create, edit and share video content. Metaplace - a revolutionary virtual world platform that provides an open, easy-to-use interface allowing users to create virtual worlds that can run anywhere and enable users to play games, socialize, create content and conduct commerce. These virtual worlds can be embedded in a blog, Facebook or MySpace and even allow users to link virtual worlds. 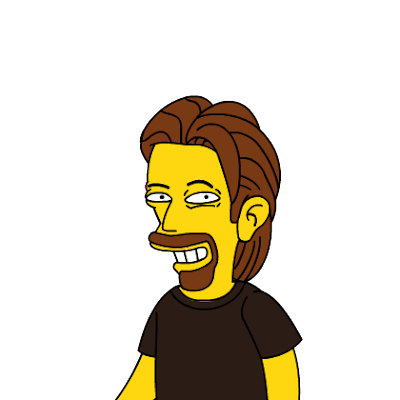 BeFunky provides users with tools for uploading a photo and creating an avatar, cartoon, digital painting or comic of themselves for their blogs, websites, and social networks. With the addition of presentations to Google Docs, comes this brief video describing the benefits of online collaboration. You'll recognize the style of the video from our friends at CommonCraft - very clever! Starting today, presentations -- whether imported from existing files or created using the new slide editor -- are listed alongside documents and spreadsheets in the Google Docs document list. They can be edited, shared, and published using the familiar Google Docs interface, with several collaborators working on a slide deck simultaneously, in real time. When it's time to present, participants can simply click a link to follow along as the presenter takes the audience through the slideshow. Participants are connected through Google Talk and can chat about the presentation as they're watching. At the recent Enterprise 2.0 conference, Donald Tapscott gave a presentation on Wikinomics: How Mass Collaboration Changes Everything - the book he co-authored with Anthony D. Williams. The focus of the book is leveraging web 2.0 tools to jump start and drive mass collaboration, especially in the enterprise. In addition to detailing what a number of companies have done to foster collaboration, Tapscott and Williams provide strategies and tools to enable organizations to better collaborate both internally and externally. One of the really great things about the conference is that organizers put into action the openness and sharing advocated in the book. To that end, presenter video, audio and powerpoint are freely available at the conference website. 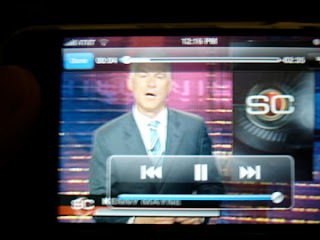 Two months ago, I posted Tapscott's June 20th presentation on the presentation sharing site Slideshare. It's been viewed 584 times, downloaded 107 times, and embedded into 5 websites or blogs. Additionally, it has been added to three Slideshare groups - Web 2.0, Crowdsourcing and The Social Media Club. Here is a link to the powerpoint with transcript, video of the presentation and finally the embedded slideshow below. And finally, you can listen to a podcast Gordon Snyder and I did on Enterprise 2.0 by clicking here. Interestingly, a number of the blogs focus on SEO or Search Engine Optimization - which sounds somewhat esoteric, but for businesses is really about the bottom line. The goal of SEO is to get your webpage or your company's webpage at the top of the list of search results from Google, Yahoo and other search engines. Not surprising that most people click the first link they see. If you or your students are using Facebook, you might want to try out the just launched New York Times News Quiz Facebook app from The New York Times. 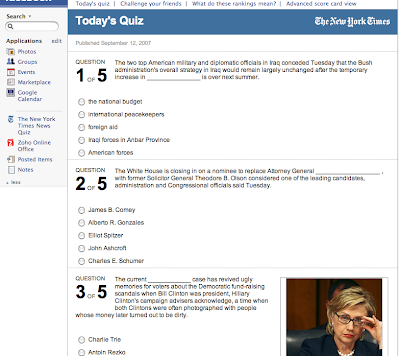 This add-in to Facebook quizzes students each weekday morning with five-questions covering recent news events. Students can take the quiz alone or challenge other Facebook-friends to see who knows more. After taking the quiz, you're given results, percentile rankings and most importantly, links to today's top NYTimes stories - to help you prepare for tomorrow's quiz. I think this is a great way to get kids interested in news and current events, and the competition with their friends makes it potentially even more engaging. In an earlier blog, I talked about some simple ways to connect with your class and to get them engaged. 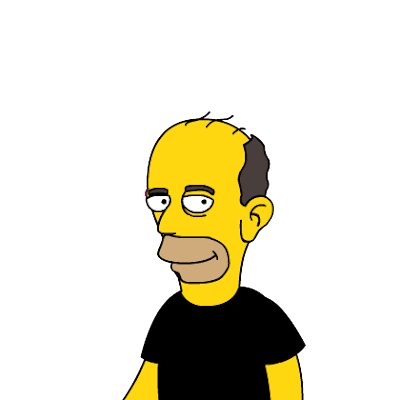 Here's another great classroom icebreaker - simpsonizeme.com - which allows you to upload a head shot and convert a photograph into a Simpson's character. Great way to entertain - there's that dirty word again - your students and connect with your class. 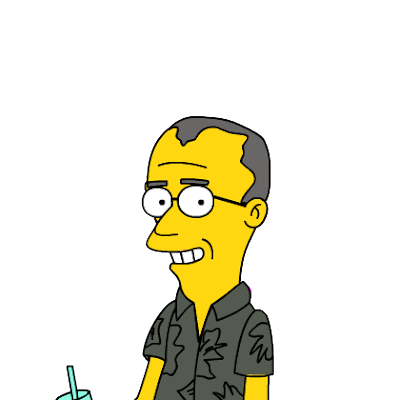 Here are simpsonized version of me and some of my co-workers. 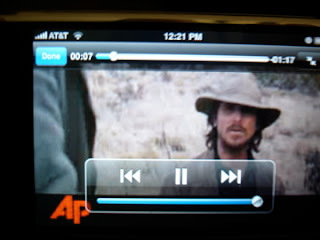 VTap just launched a new service that allows you to watch videos on your mobile phone. It works with the iPhone, Windows Mobile phones, and any number of phones that run Java. Here are some pictures of VTap on the iPhone - the pictures don't really do the service justice. The quality of the video is great - even over the slower edge connection. Did You Just Call Me a 12OF? IIOYT -- is it on YouTube? He's even got some shortcuts for those of us that are a bit older. Read more here. What's that you're saying? Sorry - NIWYM! Earlier this year, Slideshare.net sponsored a World's Best Presentation Contest - among the judges were two of my favorite presenters - Guy Kawasaki and Garr Reynolds (Presentation Zen). Users of the site voted on the best presentations and the final selection was done by the panel of judges. Unfortunately, the contest was held before slideshare added the ability to create slidecasts (slides with audio - more here), but you can still see why these were chosen as the top three - great visuals and very engaging. Almost a quarter said they fell asleep more than once a week while watching TV, listening to music or using other electronic gadgets. What we are seeing is the emergence of Junk Sleep - that is sleep that is of neither the length nor quality that it should be in order to feed the brain with the rest it needs to perform properly at school. If you find that your students are having a hard time paying attention or seem unusually groggy, they may not be sleeping enough or may be suffering from junk sleep. Of course it could just be the boring lecture you're giving! Watch this really moving 5-minute TED video of Dean Kamen - serial inventor of the Segway, a mobile dialysis system, an insulin pump, and an all-terrain electric wheelchair. Here he describes the challenge of creating the next-generation prosthetic arm for the 1600 Iraq War veterans missing one arm and the nearly two dozen bi-lateral (both arms) amputees. The work Kamen is doing would replace technology - stick and hook - that hasn't changed much since Civil War. You'll find a lot of web apps we've talked here on this blog, but I think it's a great idea to package these together into a web-based toolkit. So whether you're going back to school after a summer off, going back to school after 20 summers off or going back to teach either of these groups, take a look at these tools - I think you'll definitely find something you can use this fall. I'd love to hear your own implementations of Backpack 2.0 - email me at mqaissaunee@gmail.com. Inbox Zero: Are You Having a Healthy Relationship with Your Email? Are you living in your inbox? Are you overwhelmed by email? If so, you might benefit from this video of Merlin Mann speaking at one of Google's Tech Talks (7/23/07). 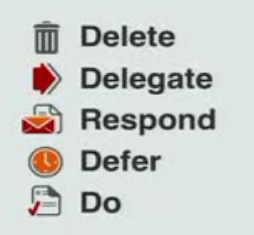 Mann, creator of the 43 Folders blog, focused on personal productivity, life hacks, and simple ways to make your life a little better, details Inbox Zero his implementation of David Allen's Getting Things Done or GTD method. The video totals about 58 minutes, but the presentation itself is only thirty minutes, the remaining time devoted to Q and A. If you like the style of the slides and Mann's presentation style, you can read his How I made my presentations a little better and view/download his slides from our friends at slideshare.net. Project management is a critical competency that we don't - unfortunately - teach to our students - not just engineers, but all students. Even in engineering education, not a great deal of time is spent teaching students project management. Most students will work as part of a senior design team, getting their first and only experience with project management. The "real" education comes after graduation - on the job. Recent graduates are thrown into a project and "forced" to learn project management working with and for more experienced engineers. Through a variety of projects, new engineers take on diverse roles and increasing levels of responsibility - eventually managing their own projects. One of the barriers to teaching more students project management is the prohibitive cost of software, such as Microsoft Project. Other factors include the long learning curve and the lack of faculty experienced in project management. Clearly, the first step to a broader understanding and adoption of project management is to get the tools in their hands. There are a number of free or inexpensive alternatives to Microsoft Project. OpenProj, and GanttProject are open source project management applications available for Linux, Mac and Windows. OpenProj (screenshot above) is a pretty full-featured application with the ability to open and save MS Project files. 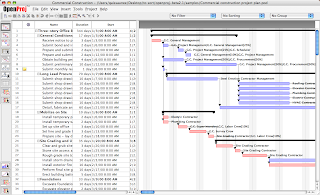 Another, alternative is to use Microsoft Excel to layout and manage a project schedule. David Seah - Manual Gantt Charting in Excel - provides an Excel template for doing just that. Unfortunately, this doesn't give you all the bells and whistles or intelligence of full-blown project management, but is simple to implement and forces students to organize their tasks into a PM context and to really think about and understand task dependencies. The template has even been converted to a Google Spreadsheet - further reducing the entry barrier and even enabling collaboration. Finally, Ismael Ghalimi's Office 2.0 Database lists 27 online or web 2.0 project applications including Zoho Project, DreamTeam, and ProjectPipe. 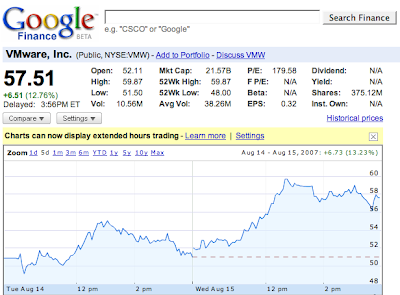 VMware is paying $130,000 to $160,000, plus stock options -- compensation that only Google can match. Wouldn't it be great if we had stock options and these sort of salaries to attract and keep talented people into the teaching profession? Here's Tom Friedman on Charlie Rose from Thursday August 16th. The paperback of The World is Flat is out now with two-and-a-half new chapters that Tom discusses. When the world is flat, whatever can be done will be done. The only question is will it be done by you or to you. It's cold today on the east coast - 60 degrees, but things are heating up online. Zoho today announced the integration of Google Gears into their Zoho Writer. This is the latest move by one of the three leaders (Zoho, Thinkfree and Google) in the battle for the online office suite - Office 2.0. Offline functionality is one of the three primary criterion we can use to evaluate these products; the others being: completeness or number of applications included, and formatting/translation issues. In spite of nearly ubiquitous connectivity, offline functionality remains important - I would say a near deal-breaker or deal-maker for most users. Thinkfree has an offline version ($49.95) that runs on Windows, Mac and Linux; Google has no offline functionality but has introduced the open source project Google Gears, which has the potential to eventually take their web apps offline. Ironically, Zoho has used Google's project to begin to offer offline functionality. I say begin, because this update only includes Zoho Writer and is limited to read-only access offline - at least for now. Both Thinkfree and Zoho have all of the core office apps (word, excel, powerpoint); Zoho adds a number of additional applications - too many to enumerate here, but include project management, and web-conferencing; Google is missing the presentation component, but is expected to announce a presentation application for their suite sometime later this month. It's great to see so much competition in this space! Here's a two-minute video that details the update to ZohoWriter. Cell Phones - The Future of Education? Here's a great interview Robert Scoble has recorded with Dr. Elliot Soloway. Who's he? Soloway teaches Electrical Engineering and Computer Science at the University of Michigan - his most famous student is Google co-founder Larry Page. Most of the discussion focuses on the state of education and how to improve it. According to Soloway, the opportunities for transforming education are at the K-12 level not colleges - college faculty are unwilling to give up control in the classroom. The technology that he thinks will be most critical to re-shaping education and bridging the digital divide - not laptops or desktops, but the cell phone! The New York Times has a story detailing Hewlett-Packard's new Cloudprint application. Cloudprint is a free service that allows mobile phone users and business travelers to print documents on any printer almost anywhere in the world. 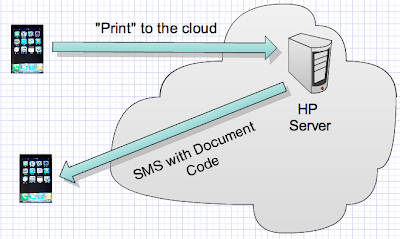 First “print” or send your document to an HP server somewhere in the cloud. Cloudprint assigns a document code, and sends it to your cellphone as an SMS message. With the code and your mobile number, you can retrieve a PDF version of the document from the Cloudprint Web site and print it virtually anywhere. The service will include a directory service that will show the location of publicly available printers on Google Maps. The system currently works with any Windows-connected printer. 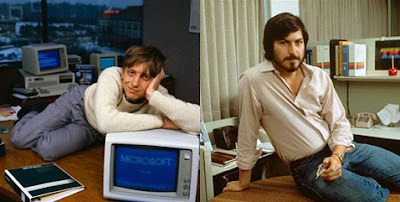 A Macintosh version is also planned. To support Cloudprint, HP has partnered with a major retailer to establish hundreds of Internet-connected printing locations around the country. In a June 24 posting - Wireless Power - Time to Cut the Cord! I discussed a team at MIT developing wireless power - something they're calling WiTricity. 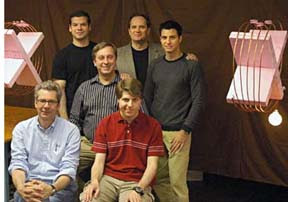 A reader posted a link to WitricityNet a site with more information about the MIT project. Here's a sampling of some video from the site. First a great 14-minute video on the life and contributions of Nikola Tesla. Although a bit over-dramatized, the video provides some great information on Tesla and would benefit students and faculty in electronics, communications and networking. His work provides the foundation upon which many modern technologies are built. And finally two examples of wireless power in action. There's more on the site. It's not quite ready for prime time, but the prospect of eventually being able to cut the power cord is pretty exciting. Unfortunately, that statement could be used to describe many of our students - particularly technology students. Although I teach technology, I love history, especially the history of technology and I am always looking for ways to teach history to my students. I think history enriches a student's understanding and helps to contextualize the content. While the benefits of teaching history are clear, it's a challenge to do so - mainly because our technology programs and courses are already so jammed with content there is very little room for anything new or different. I've been successful at using audio and video to supplement what I do in the classroom, but I am always looking for new ways to bring history into the classroom. There's an interesting new tool called Xtimeline that could help. Xtimeline allows you and your students to create, share and explore interactive timelines. I think you'll enjoy exploring the timelines - here are a few examples - just click on the images below to open the interactive timeline. The first is a history of the internet, from 1958 (Who was President kids?) to the present. There a number of events - at least according to me - missing. But what a great opportunity to have your students fill in the holes and fact check the timeline. The second example is a history of video games. Looks pretty thorough, but admittedly not my area of expertise. Finally, the last example is actually from Karl Kapp's blog - Karl, a professor of instructional technology and an expert in gaming, might be able to help us evaluate the completeness and accuracy of the Gaming timeline . There a couple different ways to create your own timelines. The first is to create an excel spreadsheet (or even better Goggle Docs spreadsheet) and upload to the Xtimeline site. The template - shown below - is pretty straight forward. Students could spend the whole semester gather new events - as they learn/discover them - and populate the spreadsheet. Imagine students working on this individually, in groups, as an entire class or even working collaboratively with other students/classes anywhere in the world - a sort of "The World is Flat" project! Another way to create a timeline is to use an RSS feed. That's how I made the Karl Kapp timeline. We're all familiar with the American Automobile Association or more commonly AAA or triple A. Over the last 25 years, I've been an on and off Triple A member; usually letting my memberships lapse and renewing when I had a dead battery, needed a tow or some other type of road-side assistance. The proliferation of online mapping and small inexpensive GPS devices has made AAA and their Trip-Tik flip books an anachronism. In fact, it's been quite a while since I've even thought about Triple A - until today. It's still unclear how widely-available this application will be (members versus non-members and Sprint versus other carriers) and how much the service will cost - early indications are $10 per month. Pricing and availability will be critical factors in determining the success of this application, especially in an already crowded and competitive market (Google Maps, Garmin, TomTom, etc). It's great to see Triple A attempt to re-define themselves and their market, but you gotta wonder - is it too little, too late? For the last year, I've been using the beta of VMWare Fusion on my Macbook. VMWare is also available for Windows XP and Vista and most versions of Linux. This is a great product - allowing me to run Windows XP and a wide-variety of Linux flavors on my Mac OS X machine. I use these "virtual machines" to teach and prepare for classes in networking, security and operating systems. I currently use VMWare and Parallels and have used VirtualPC in the past. Briefly, you install VMWare, Parallels or VirtualPC on top of your primary or host operating system and then install virtual or guest operating systems that run inside or on top off the host OS. If you teach across multiple operating systems and haven't explored any of these applications, give them a try - they're really great tools for teaching and working with students. If you have your doubts about the importance of virtualization, or it's impact on business take a look at the following graph. Yesterday (8/14) was the IPO or Initial Public Offering of VMWare stock - the largest technology IPO since 2004 (a little company named Google). The initial offering price (symbol VMW) was $29; the first day closing price was $51 (43% gain) and today's closing price $57.50 (13%). Wish I bought some! Read more here. Just available from Charlie Rose. The 8/14/2007 interview with Esther Dyson. The interview - A discussion about emerging technologies with Esther Dyson - covers a wide range of topics from the human genome and health care to Google and Facebook - even monetizing Charlie's site with PayPal. Great stuff - enjoy! 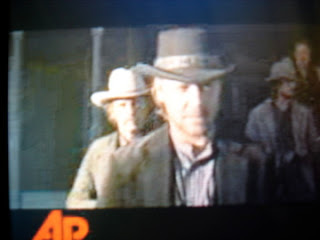 I was watching the Charlie Rose show last night (8/14/2007). He had a great interview with Esther Dyson, that covered a wide range of topics from the human genome and health care to Google and Facebook - even monetizing Charlie's site with PayPal. Unfortunately it's not available yet on his site, but I will post when it becomes available. In the meantime, you can watch this January 2006 interview with John Doerr and Esther Dyson. I encourage you to have your colleagues and your students watch this 24-minute video - and let the discussion begin. 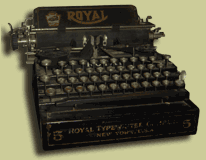 In an interview Gordon Snyder and I did with Karl Kapp, we discussed the topic of blogging. Karl really hit the nail on the head, when he described the effect that blogging has had on him personally. I love my blog, it really clarifies my thinking and is a great online "memory box" for me. Karl's point begs the question - wouldn't students benefit from blogging? Does blogging have the potential to help students become better communicators, clarify their thinking, fine-tune their critical thinking skills and improve their memories? students' blog articles in a controlled environment. The key there - at least for me - is the controlled environment, especially for K-12 students. Gordon, Karl and I all use Blogger, Google's blog-hosting service, but maybe a tool like this is more appropriate for students. The flowchart on the left describes the workflow in Class Blogmeister. 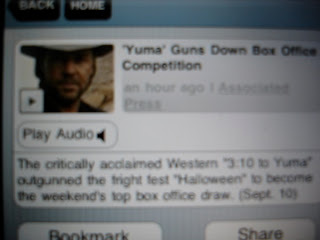 An example for college students is Mark Viquesney who teaches at the Maricopa Community College District in Arizona. For a hybrid class Mark's teaching this fall he's using Google docs for student writing assignments and peer review. Mark is also using Elluminate to hold virtual office hours and encourage greater student-to-student to interaction. Both great ideas! Different audiences; different tools - what do these two ideas share? Collaboration! Collaboration is the killer application! I received some great reader feedback on the Online Mindmapping post. Thanks everyone for the great comments - as always you can reach me at mqaissaunee@gmail.com or post your comment directly to the blog. 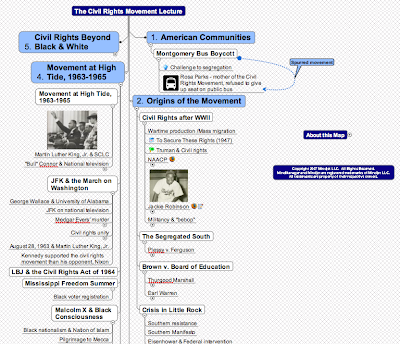 Readers loved the Civil Rights Movement mindmap, which I picked because I found it an engaging mindmap both visually and topically. It is not one of my maps - I teach technology courses - you can get the map for free at the Mindjet Map Gallery - under education/faculty. Sorry for the confusion. 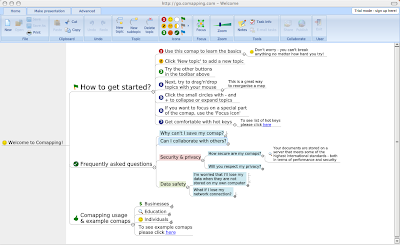 Another reader pointed me to comapping a pretty slick online mindmapping application. Comapping, which offers a free 30-day trial, costs about $2 per month. This web app has a fairly rich interface, lots of bells and whistles and allows real-time collaboration - like Mindmeister. It's great to see so many options available and so much activity in this online space. 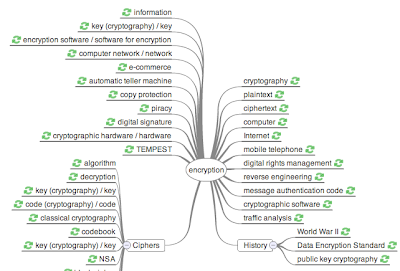 In an earlier post on Search Mash-Ups, I provided a link to Wikimindmap, which takes a Wikipedia search query and builds a Mindmap from it. 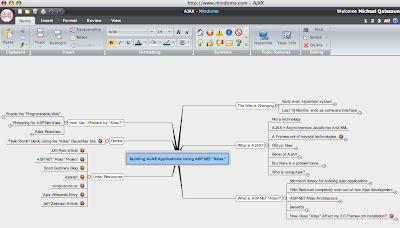 Mindmapping is a really great way to visualize information, whether working individually, or as part of a group. I've been using Mindjet's Mindmanager for about four years. More popular in the K-12 sector is the significantly cheaper Inspiration, which I find to be a bit more simplistic and "cartoony." 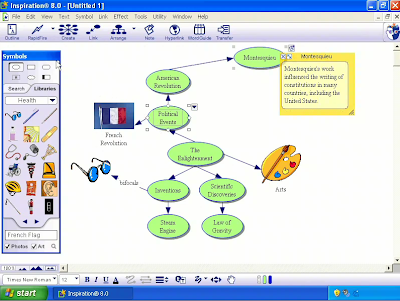 A recent trend is online or web-based mindmapping, such as MindMeister and Mindomo. Each offers a free basic version and a subscription-based paid or premium service. 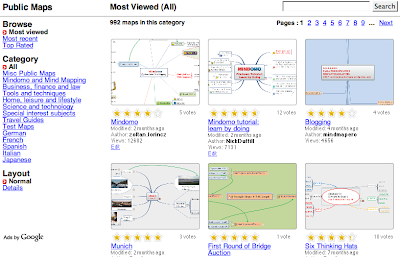 MindMeister's focus is on providing a collaboration platform for mindmapping, while Mindomo is about building a mindmapping community - a sort of YouTube for mindmapping. For some interesting uses of MindMapping, you can read A Beginner's Guide to Mind Mapping Meetings on the Lifehacker blog. In an earlier post, What is a Mash-Up? I linked to a brief video that does a great job of explaining mash-ups. Now I'd like to share with you some examples of search mash-ups. 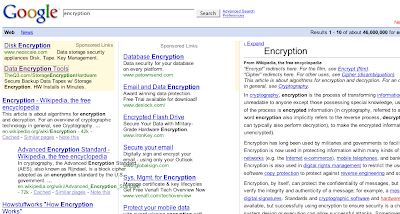 One of Gordon Snyder's favorites is Googlepedia - an add-on for the open source Firefox browser that combines Google search results with a relevant Wikipedia entry. 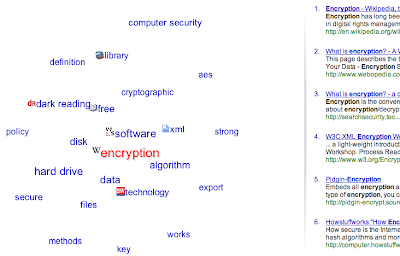 Here's a sample search for the term "encryption:"
Finally, there are visual search engines such as Quitura and KartOO - screenshots below. Give these tools a test-drive, I think you and your students will derive great benefits from the ability to visualize your searches. 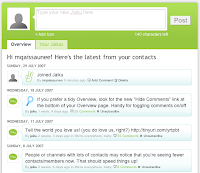 Many are calling these social networks, or micro-blogs. 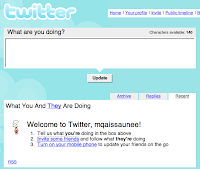 In Twitter and Jaiku you provide information about your thoughts, activities and/or whereabouts. Some users update so often, that it's almost like real-time updates. 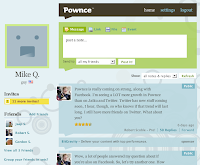 Pownce works similarly, but allows users to easily share links, files and events. Twitter is still the most popular of the three, but Pownce - by invitation only - seems to be gaining quickly. I'm not sure I understand the attraction of these sites - maybe it's generational, but they're very popular and seem to be addictive. Here is one interesting and real-world use of Twitter by the Los Angeles Fire Department. 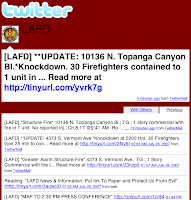 Members of the fire department provide real-time updates of LAFD activities and operations. Anyone interested can subscribe or follow this Twitter. Imagine the uses at a college or university - we could provide updates on availability of writing or math labs or even our testing center. We could also provide registration information in real-time, such as number of seats, new sections, cancellations etc. To think of it, you could also use these tools to manage your office hours - in real-time! Here's a great New York Times article on Pownce and co-founder Kevin Rose. Who's Kevin Rose you ask? Kevin is the 30-year old wunderkind behind hugely successful news/social networking site digg.com. Digg allows user to post links to interesting news or websites and other users to either "digg" or "bury" the article. 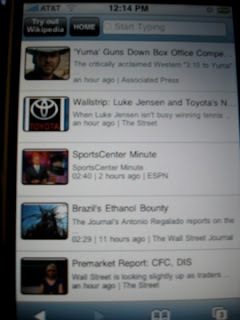 Stories with the most diggs rise to the top, while others disappear - it's a great way to let the community filter news. I have a few pownce invites left, email me at mqaissaunee@gmail.com if you'd like one - first come first served. Jing, available for free at www.jingproject.com, is a new product from TechSmith Corporation launched on Tuesday July 17th. You're probably familiar with TechSmith's other products, Camtasia Studio and SnagIt. Briefly, Jing gives you the screen capture capability of SnagIt, combined with the screencasting of Camtasia, but with a very different approach. Jing - available for Windows XP and Vista and Mac OS X - runs in the background ready to capture and share anything you're doing - a little unobtrusive "sun" as seen here on my Macbook. 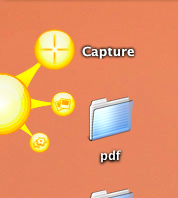 Jing is a small, sleek little application - not intended to give you the full feature set of either SnagIt or Camtasia. Instead, Jing is about quickly capturing information and sharing it. 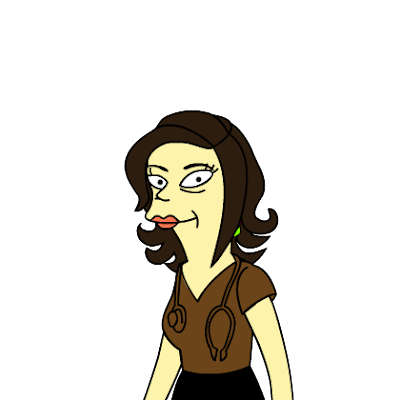 Images are saved only as .png files (lossless) and videos [limited to 5 minutes] as .swf (flash - present on almost every computer in the world). Jing doesn't require or allow you to do any editing, clean up or production. If you need full-blown editing and production capabilities, you can use SnagIt and Camtasia; Jing is quick and easy no frills screencasting. If you've got something you'd like to share, mouse over the "sun" to see three "sunbursts" - capture, history and more. If you click on capture, you get a pair of crosshairs that you can use to select a region to record. In a corner of the region you'll see controls that allow you to capture images or video. Once you've finished capturing/recording, Jing allows you to preview your recording and either share it, save it or cancel the recording. As you would expect, saving just saves either a .png or .swf file on your local hard drive. Sharing though is something altogether different! When you first use Jing it takes you to screencast.com - TechSmith's hosting service - and has you create a free account. When you click share, your content is automatically uploaded to this hosting service, Jing generates a url and puts it in your clipboard. You can share the video with anyone, by emailing, iming or otherwise sending them the url. You can also grab the html code from screencast.com to embed the video in a blog or website. Imagine the potential uses for this! Students or colleagues ask a question - you record a 5-minute video that answers the question and share it with them immediately. It's not clear if Jing will be free forever or if they will continue to give out screencast accounts, so try it out while you can. 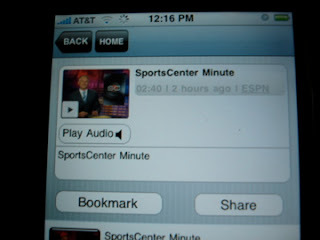 Here's a sample video showing another interesting product Joost - web-based or IPTV - which is by invitation only. Email me if you need a Joost invite! Jing Demo Keep in mind that this is a video of a video so you may lose some quality, but I encourage you to try out both Jing and Joost [invitation only] - they're really great products.